Hear ye, Hear ye all blog followers of knitorious…On October 7 and 14, join knitorious at the A Work of Heart craft lounge in San Jose, CA to partake in the festivities. 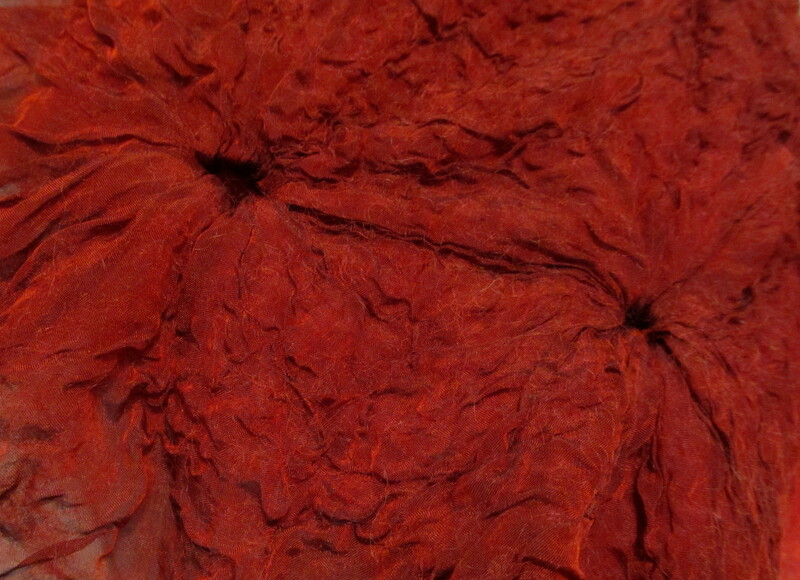 From 9:30 am – 12:30 pm, tantalize your creative tastebuds learning the basic techniques of nuno felting. Just add a little water, soap and agitation and watch what happens. Check-out the class description at www.aworkofheart.com. Why not visit the craft lounge and get an up close and personal look at the scarf on display? Today in Northern California, the weather was perfect for experimenting with the Nuno Felting technique. Nuno Felt represents the co-mingling of wool fibers with the woven structure of silk. Synthetic fabrics also offer good support for this technique. Why not experiment with cheesecloth? Silk provides an intriguing background for this process because of its translucent appearance. 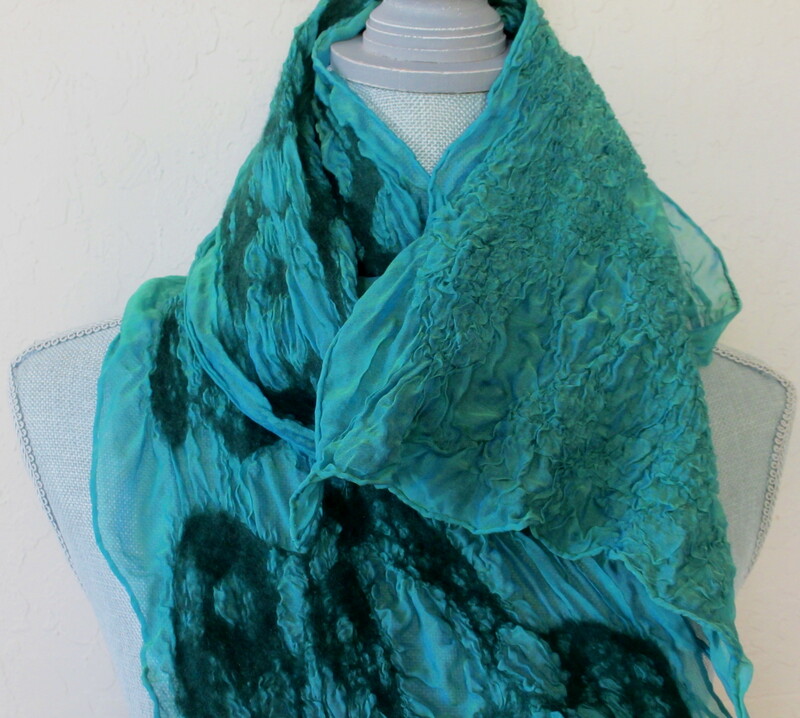 Last year while cruising the marketplace at Stitches West, I spied pre-dyed silk scarves perfect for Nuno Felting. It was time to dust off the silk scarves and have some fun! I filled a bucket with warm water, grabbed a bar of olive oil soap, and a roll of bubble wrap. The silk scarf was placed on a length of bubble wrap, wool roving was gently placed on top of the scarf, and I proceeded to saturate the scarf and wool roving with a solution of warm water and olive oil soap. I patiently agitated the surface with a piece of net between the surface of the scarf and my hands. 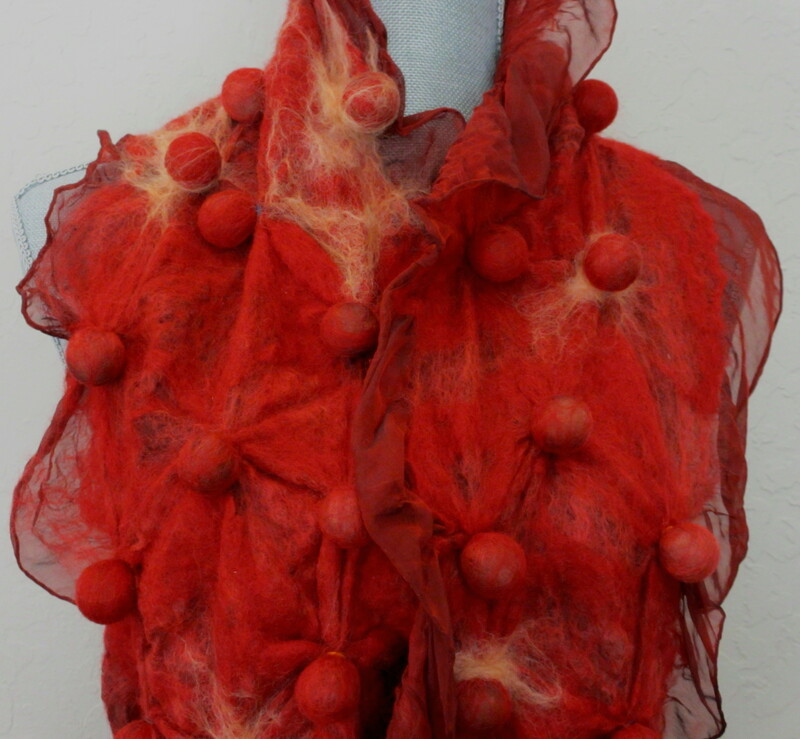 The manipulation of the surface created dimensionality to the scarf due to the felting of the wool roving. The silk scarf was transformed into a delicate piece of sculpture.